Nice. Tom is such a great guy to work with, isn't he? 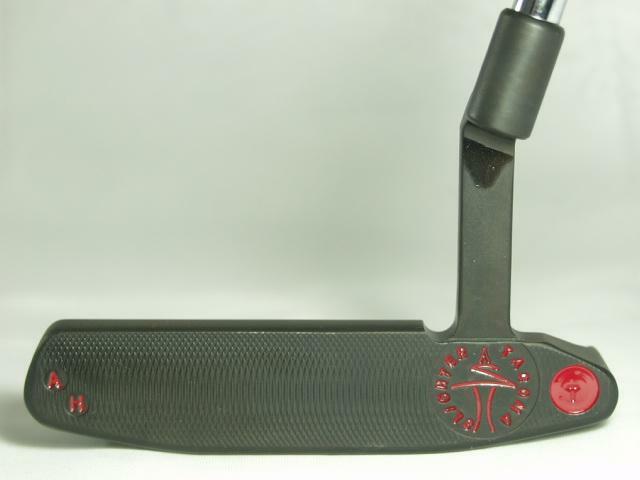 Great looking putter you have there. Adam, wow. That is a gorgeous putter, personally I would have done it in Satin, but that's just my eye. It seems that you are pleased with it, and rightfully so, the stampings came out beautiful!!! I wish I knew about slighter when I had gotten my Scotties in the past!! I hope it drains many putts for you, best of luck. Nice putter. ive been contemplating ordering one from Tom. his work is superb but im such a die hard Titleist player and since nothing titleist has ever underperformed for me i am not planning on turning away from it anytime soon. I love the black finish definately what i would go with. 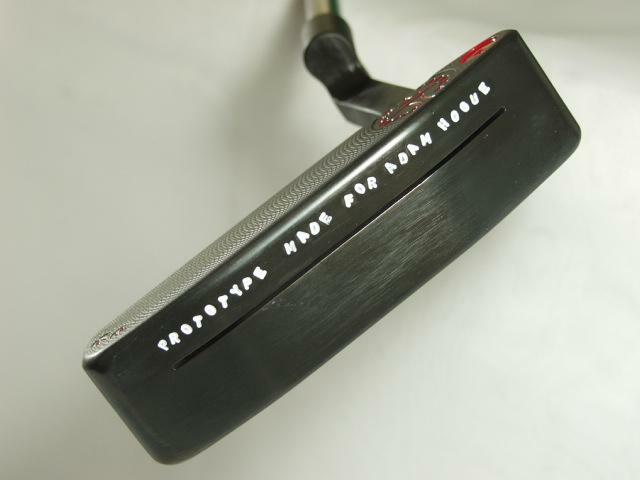 Is it a black pearl or a 3x type finish??? Sweet putter. Not quite sure what Tom is doing with them. I sent back my Kent for oxidation and it turned out sweeter than ever. I sold two Scotty's for my Kent. It was hard because I liked my Red X and my Phantom Mallet! 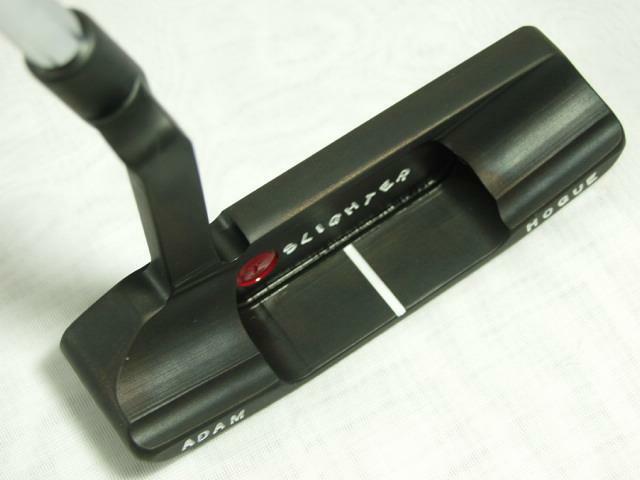 Awsome putter Adam , I can't wait to get my Slighter !!! Great pick up. That is my dream slighter putter pretty much. Hope you sink a lot of putts with it. 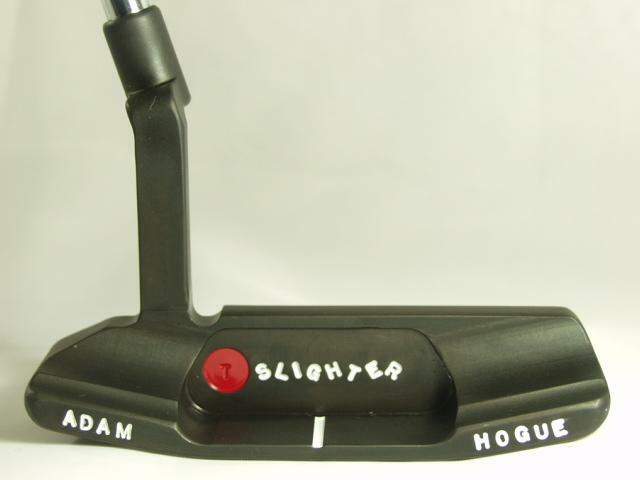 Awesome looking putter...i really like the black. Thanks for all the commenst guys. This thing surely is a beauty and it rolls the ball well at 33.5" and 360g. It feels awesome. It is very heavy and rolls the rock really well. looks great adam, im just abou tto order mine, and they are really cheap, they cost just about as much as a normal cameron, correct me if im wrong please, best of luck everyone, and adam i think you know my brother, pm me and ill give you his name.